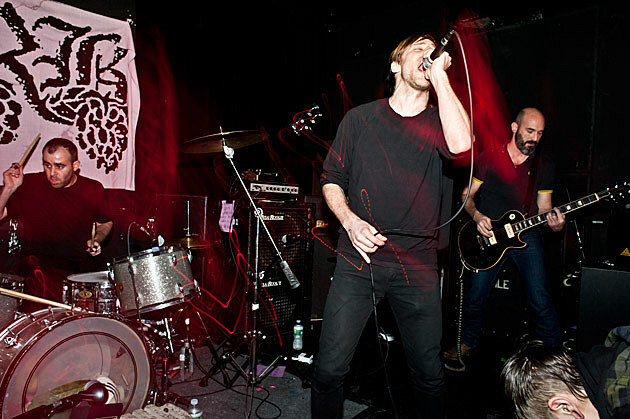 Brooklyn’s Raspberry Bulbs, who perfectly stitch together raw punk and black metal influences, have announced a new LP, Deformed Worship. Look for that record to land in July via Blackest Ever Black, and you can stream the new track “Groping The Angel’s Face” below. As mentioned, Raspberry Bulbs play 285 Kent on May 23 with Total Control. Shadow of the Destroyer, who are preparing to release their new self-titled LP via Inherent Records, will hit NYC with guests Anicon and Belus at The Acheron on May 31. Stream two tracks from the LP below. Recommended! As usual, we are grinding away at InvisibleOranges and preparing for Maryland Deathfest 2013! Head over to the site for a stream of the new Tribulation and the Arabrot / Rabbits split, interviews with Eight Bells and Witch Mountain, an amazing piece on African Metal, a review of the new Grime and more! Make sure to tune in to InvisibleOranges on East Village Radio every Tuesday at 10PM ET. Check out what we played last week and stream an archived copy of the show! All Evillive-approved shows for the next two weeks, plus that new Raspberry Bulbs jam, are below.